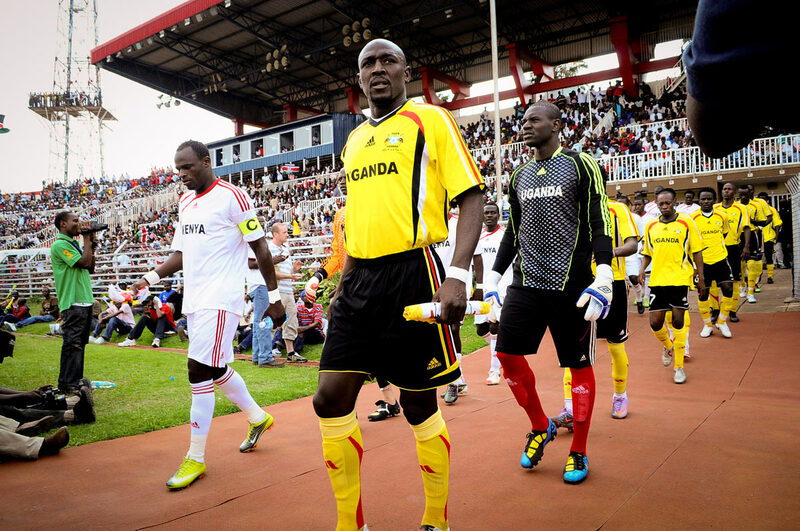 Bobby William will be attempting to be the first coach in 33 years to lead Uganda into qualification for Africa’s most prestigious football tournament. 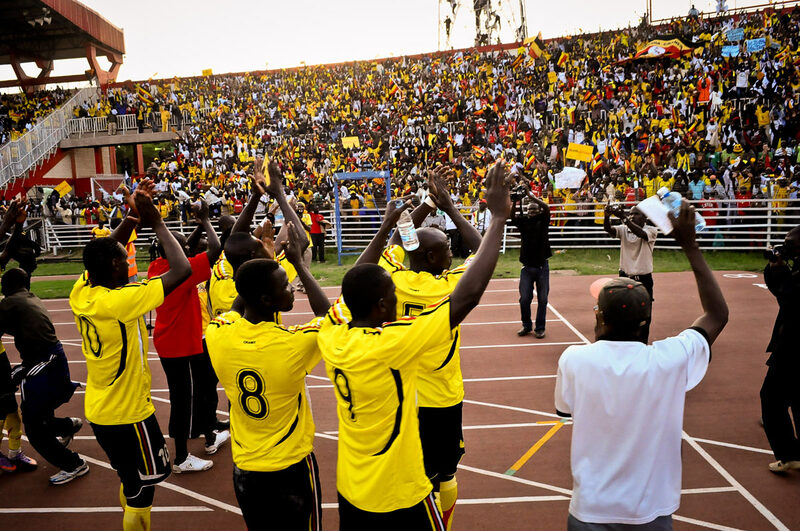 Approximately 10.000 Ugandans travelled to Kenya for the crucial game at Nyayo. 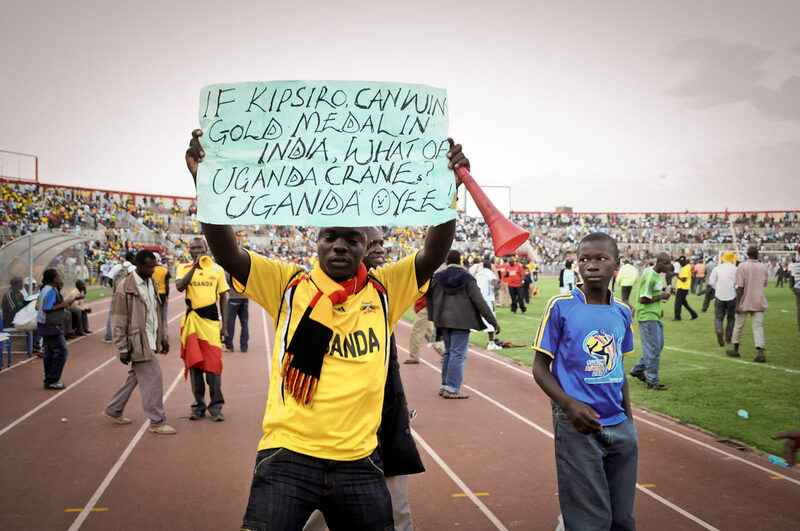 The Kenyans fans are hoping to better that record with Kenyan Prime Minister, Raila Odinga leading that attempt. 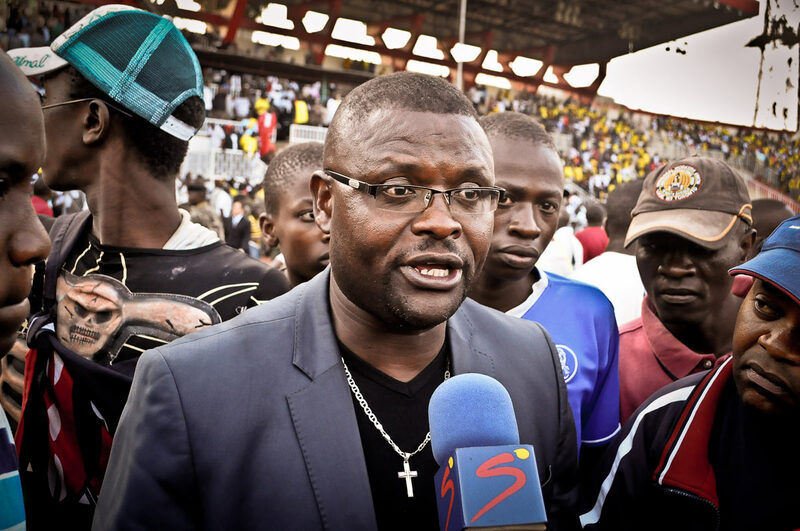 Andy Mwesigwa’s decent performance at Nyayo also earned him some status too. 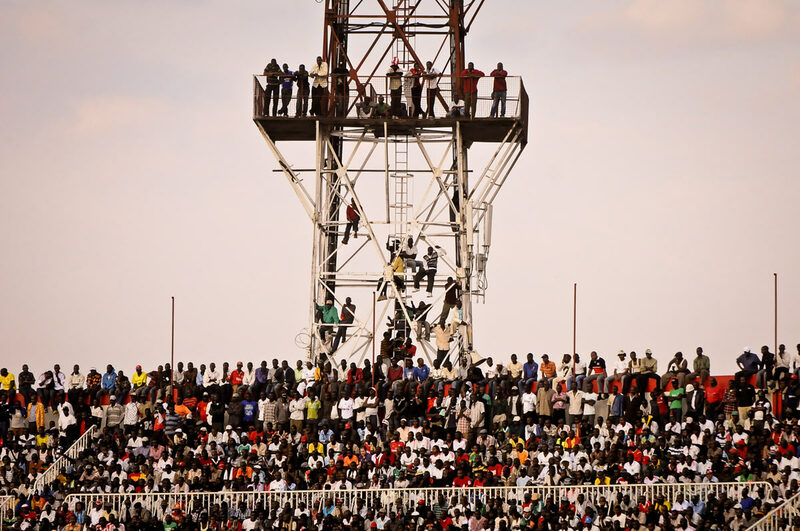 We denied some of the Kenyan fans space at the Nyayo Stadium that they had to resort to climbing floodlights. 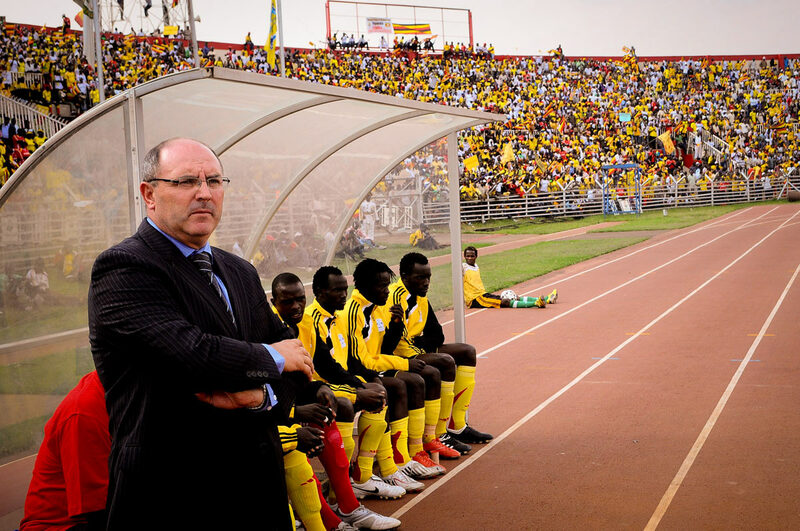 ….and the most memorable was the fact that we led to the sacking of the then Kenyan Coach “Jacob Ghost Mule. Great story telling Edward. Keep it up. 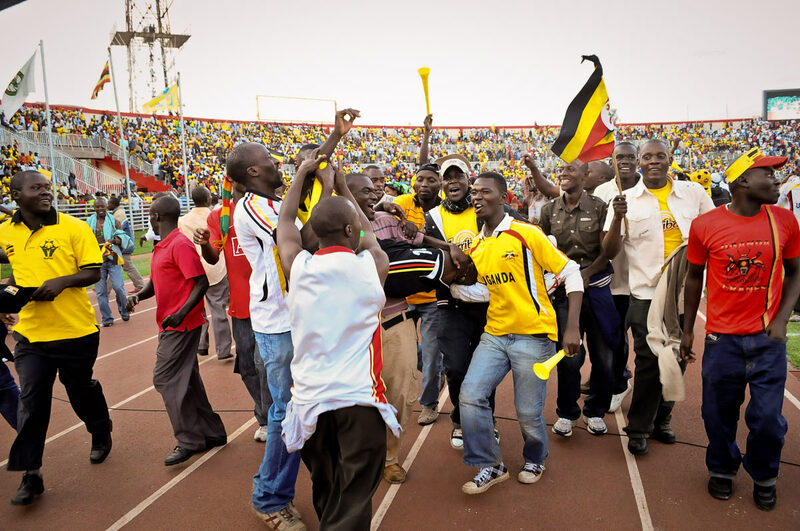 Tomorrow when the Harambee stars visit Namboole, we will show them who is boss around this neck of the woods! Plus we will officially lift the land title for Migingo coz the battle shall be decided tomorrow! This is a wonderful piece, without unnecessary text, and the message sinks with the a BANG! 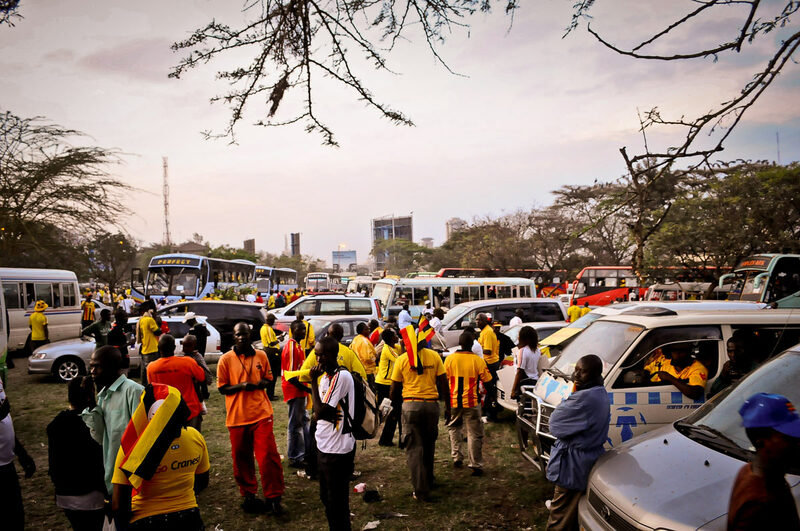 Try as they may, the Kenyans won’t get a shade close in numbers, and visually, the yellow colour drowns everything else. Let’s go UG!!! Hehehehehehe….I like that..We need to finish off this battle! These pictures takes me back one year ago. Those Kenyans mistreated us. 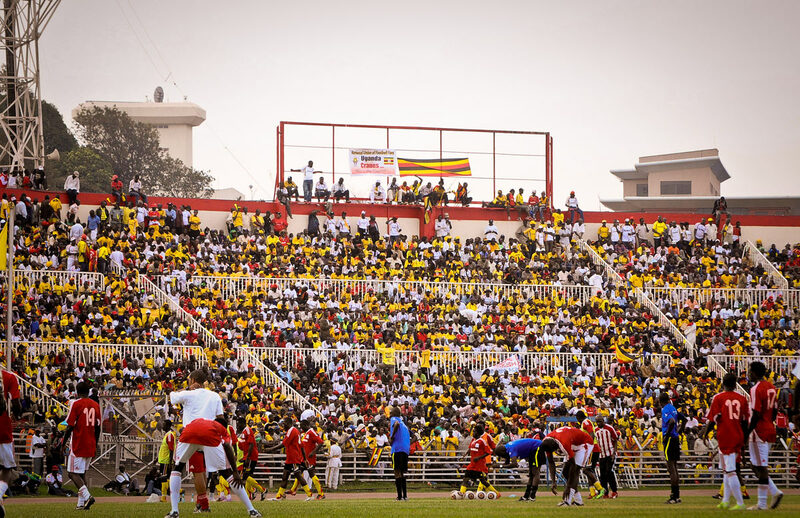 On picture 4, the Kenyan fans used the flood light stand at far left to enter stadium. 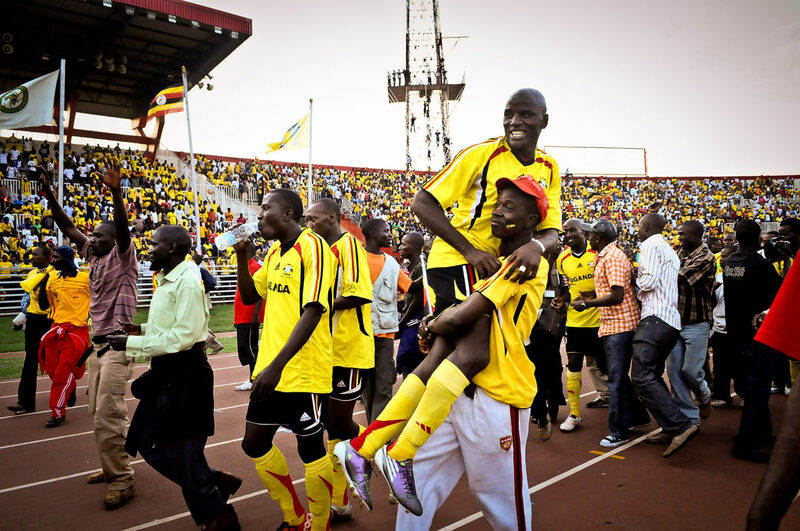 They would walk through the Ug fans to their end. 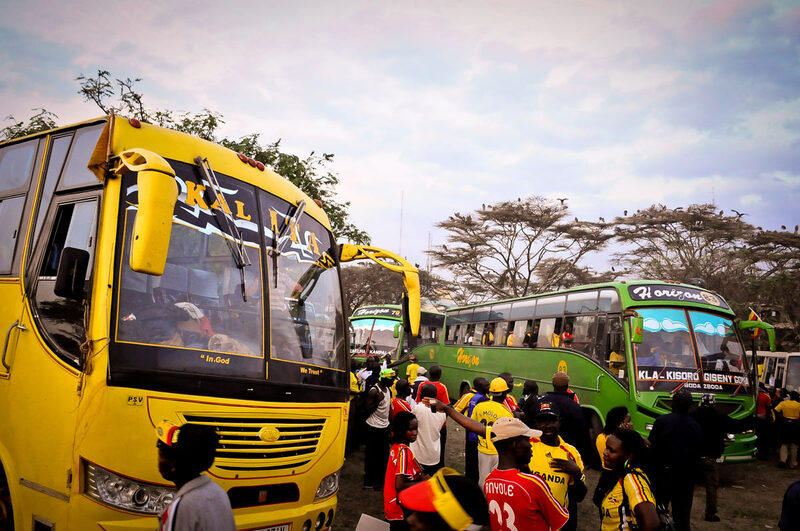 Nyayo stadium was crazy. Let us go tomorrow and show them! !